Bolivia Yellow Fever Card. The Difference Between Yellow Fever and Dengue. Bolivia requires travelers to port a yellow fever vaccination card or immunization certificate if they plan to travel to tropical areas. You should get a yellow fever vaccine 10-14 days before you travel to Bolivia. Yellow fever and dengue are not the same disease, although both are caused by mosquitos. The following are some similarities and differences between these two diseases. 1. Both diseases are transmitted by infected mosquitoes. 2. There is no cure for either disease once you contract them. 3. In mild cases some symptoms may seem similar, such as headaches, body aches or fever. 4. Both diseases can be fatal due to organ failure and internal bleeding. 1. Yellow fever and dengue are caused by different virus organisms. 2. There is a yellow fever vaccine. A single dose can prevent the disease for up to 10 years. 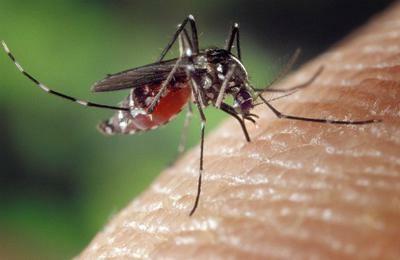 No effective vaccine has been developed for dengue. There is no cure for either disease once you contract them. 3. Yellow fever symptoms include fever with chills, vomiting, back pain, drops in blood pressure, and delirium. As vital organs begin to shut down, liver failure causes jaundice (turning the skin and whites of the eyes yellow, thus the name). 4. Dengue fever generally begins with pain in the joints and muscles. Some people develop a red rash, vomiting and diarrhea. Victims of this disease may bleed profusely, including internally. The white blood cell count decreases very swiftly. Learn more about yellow fever disease, the virus, symptoms, transmission, Bolivia yellow fever vaccination requirements, treatment, and more here. Comments for Bolivia Yellow Fever Card. The Difference Between Yellow Fever and Dengue. Yellow fever vaccines are NOT a requirement for anybody entering Bolivia. Any info otherwise is incorrect. Brazil is the only country in SA that asks for this. Note from webmaster: Bolivian law requires a yellow fever shot for anyone traveling to tropical regions (it is not required for highland and cooler valley regions). What is correct about your statement is that at present, officials are rarely enforcing this law. If you are only going to be in Bolivia a few weeks, do yourself a favor and wear some hefty mosquito repellent. :) If you are going to be living there long-term, just try to reduce the number of places where the mosquito that carries dengue likes to breed (any place water can be stagnant) and then hope for the best. But, there is really nothing you can do for dengue except take some pain killers (paracetomol or acetamenophin) and stay hydrated. It's best to avoid aspirin and ibuprofen as they can aggravate the risk of bleeding. There are four types of dengue. If you get infected with one type, you will have lifelong immunity to that type and temporary immunity to the other three types. Subsequent infections with the different types increase the risk of severe complications (such as dengue hemorrhagic fever). So it's unlikely (but not impossible) that you will experience severe complications if it is your first infection with the dengue virus.